We are currently taking a break from raising our own livestock, but we are still distributing locally and ethically grown meats and vegetables from Mississippi Farmers. We also offer locally roasted coffee, raw honey, handmade sourdough crackers, small batch cheeses, and fermented foods. Our product offerings change seasonally. We strive to bring you the highest quality locally grown and handcrafted products. The meats that we offer are pasture raised and the vegetables are raised using organic practices. 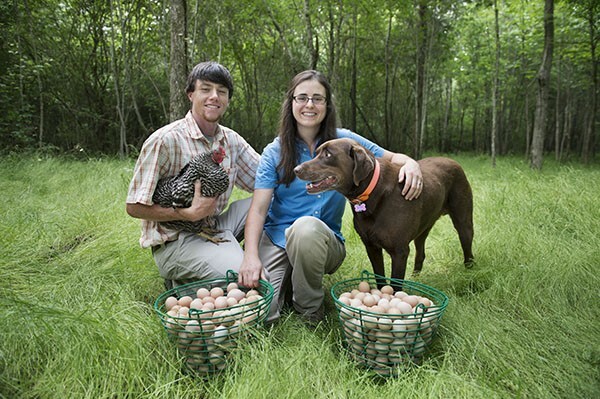 Beaverdam Fresh Farms is a biologically diverse farm that was established in 2010 by Ali and Dustin Pinion. Beaverdam Farms operates on the principle that healthy soils create healthy foods and in turn healthy communities. We base our farming practices on mimicking natural patterns that build organic matter and preserve the land for future generations. We partner with other farmers around our region to deliver dairy products, honey, coffee, grains, fruit, vegetables, raw honey, and meats to our buying clubs locations all over north central Mississippi. At Beaverdam Farms, we believe in restoring land through growing healthy food and supporting our community and other local farms. Our private Buying Club is a way for your to purchase your food directly from the farm. It is a group of educated food buyers dedicated to doing something positive with their food dollar for their environment, health, and family. We aggregate local Mississippi produce on our website so that you can shop from your favorite farmers from all over the state in one central place.